Hi! New to jotform and really impressed about this platform. It's very useful for someone like me who needs to get things done fast but neat for other people to use! Anyway, enough gushing! What I want to do is create a satisfaction form that allows me to identify who sent it. The plan is going to be sending them an email to link to my Jotform satisfaction page, let them fill it and then a thank you page that's in-house. 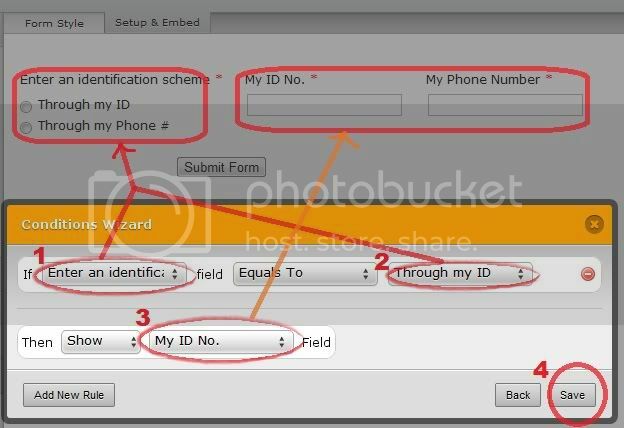 What I have done is I have asked people to enter their ID number into the form to validate who they are and so I can work out who their response is but HR have said that they might not know their ID number and would it be possible if they entered their phone number or their name instead. Where as long as field 1 or 2 has the right information inside it then that's fine. Unfortunately, JotForm currently doesn't have this feature. But I do see how this could be useful. I've already added this to our feature request list and hopefully our developers can incorporate this in the future. The best thing for you to do, for now, is to use JotForm's Conditional Logic with radio button and textbox. Here how it works. 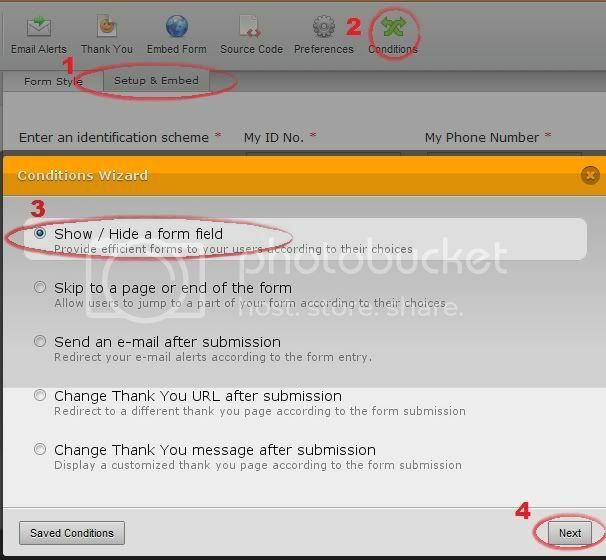 Navigate to your form, create a radio button and two textboxes for your client's ID and Phone Number . Shrink them both to place them beside each other. After finishing the looks of your form, let's get it working. Under the "Setup & Embed" tab, select the "Conditions". Choose "Show/Hide field". Configure your conditions as you see fit. You can see this form in action through this link. If you have any other questions, please feel free to contact us. We're glad you've sorted things out already. If you do have any other questions in the future, please feel free to contact us again, we will be more than willing to help you with anything.